Don't go too near the edge or you'll fall in the water. The delicious smell from the kitchen made our mouths water. A country watered by many rivers. Tags: water meaning in hindi, water ka matalab hindi me, hindi meaning of water, water meaning dictionary. 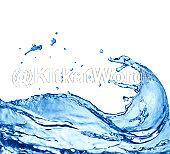 water in hindi. Translation and meaning of water in English hindi dictionary. Provided by KitkatWords.com: a free online English hindi picture dictionary.